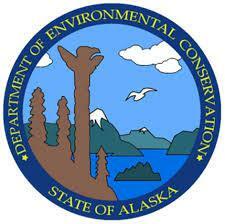 Alaska Department of Environmental Conservation spill response coordinator Geoff Merrell said preliminary reports indicated a Thursday mishap involving a helicopter. But it wasn’t reported until Saturday. Soloy Helicopters, a Wasilla-based charter outfit, confirmed it owned the aircraft but would not comment further. The National Transportation Safety Board said it was not investigating any crashes in the area. Jakolof Bay is home to several commercial oyster farms. Margo Reveil owns Jakolof Bay Oyster Company. She declined to go on tape but said she reported the spill, which she estimated was 500 yards from her oyster farm. She said the spill produced a visible sheen and covered some of her oyster nursery’s gear, which the company is working to clean. Merrell said there are a lot of unanswered questions moving forward. “Next steps are trying to understand whether there is a slick or a sheen as a result of fuel entering the water. Determining if we can, how much fuel is onboard the helicopter, whether the helicopter went into the water directly or if they landed at the shoreline and opened up a fuel tank and that’s now leaking or what exactly the circumstances are,” Merrell said. Reveil said her oyster company will not sell any potentially contaminated oysters until it receives the all-clear from DEC.